Weatherizing residential buildings to make them more energy efficient offers great potential for reducing greenhouse gas emissions, conserving resources, and improving occupant comfort and well-being in the face of climate change. However, weatherization adoption rates remain low. Previous research suggests that social norms and energy-related interactions within a community have greater influence on households’ weatherization adoption decisions than financial incentives. Therefore, an increased understanding of how social factors can be leveraged to encourage more households to weatherize is needed. This paper describes a hybrid simulation model on households’ weatherization adoption decisions in an urban community. 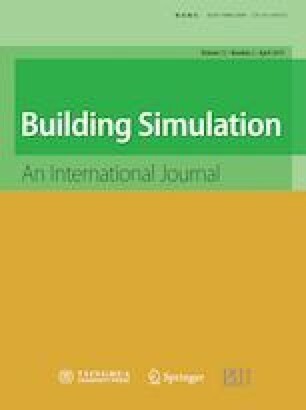 The simulation model integrates a building energy simulation model with an agent-based model that is embedded in a social network to represent the interactions, adaptations, and decision making of individual households over time. The model is demonstrated for several experimental scenarios for a residential block in the City of Des Moines, Iowa. Results indicate that social connectedness, community leaders, and delivery mechanisms for weatherization assistance all have a significant impact on household weatherization adoption. These results provide insight into the potential of policy interventions to increase weatherization adoption. This research has been funded through Iowa State’s Presidential Initiative for Interdisciplinary Research in Data-Driven Science for the project: “Big Data for Sustainable Cities Decision-Making”.